The Palace Museum is expected to exhibit more than 8 percent of its 1.86 million collections by the end of 2019, a move its curator said would convince more people to protect cultural relics. 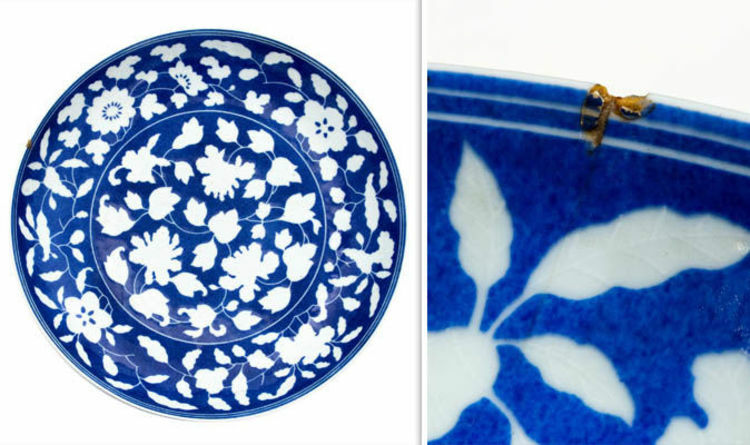 A CHIPPED fruit bowl which cost just £3 but turned out to be a rare Chinese antique has sold for £100,000. In 1903, when Chinese Empress Dowager Cixi, the most powerful woman in China at the time, asked an American artist to paint a portrait for her and sent it to the US as a gift, she probably never dreamed that the work would go on to serve as a symbol of US-China cultural diplomacy for decades to come. Compare with a similar wood moon flask illustrated in The Collection of Stands in the Palace Museum, Part V, Catalogue p. 33. 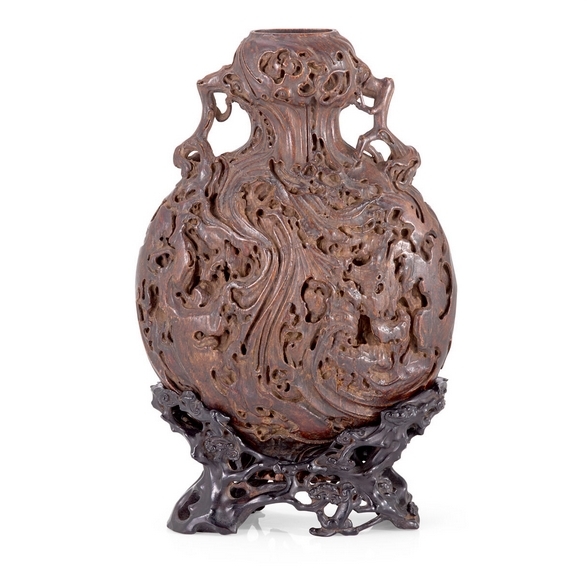 The moon flask, catalogued as Qing dynasty (1644-1912), is 37cm high and carved from a timber “resembling aloeswood” – regarded as sacred in some Asian cultures. 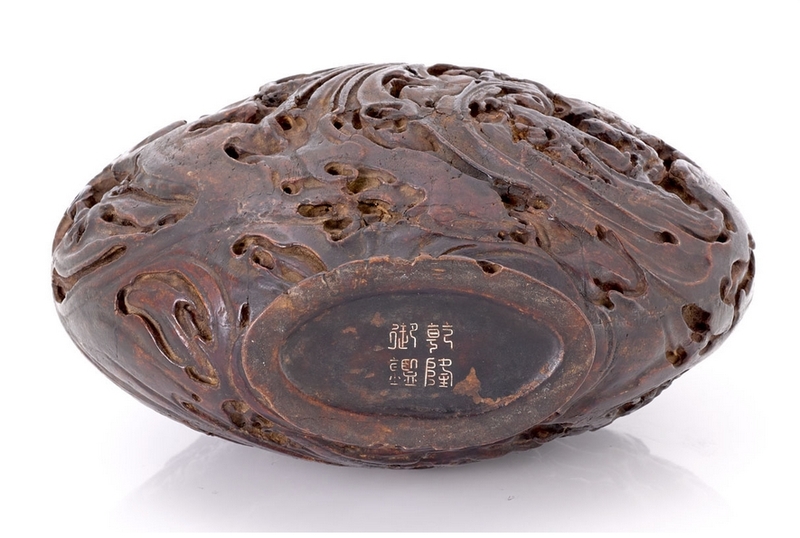 The base is inlaid in silver wire with what the catalogue says is an apocryphal mark for the Qianlong Emperor in the 18th century. 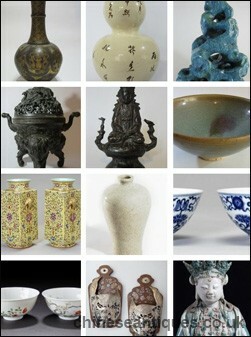 With no provenance given, the item was estimated at $7000 to $9000. 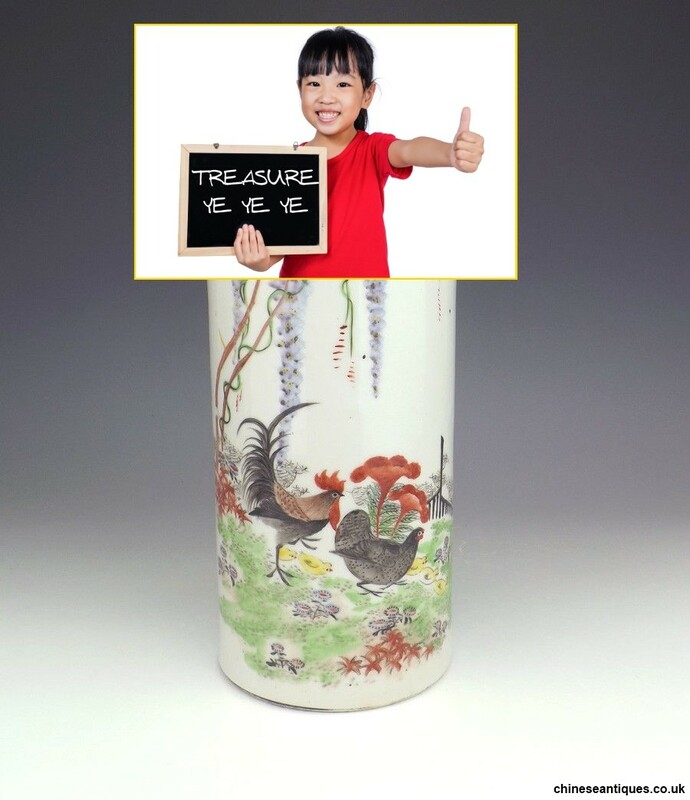 Antique Chinese Porcelain – Hand Painted Oriental Chickens Vase – Unusual! 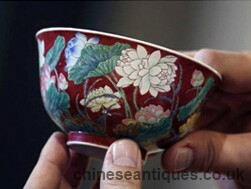 An 18th Century Chinese vase, left for decades in a shoebox in France, has sold for 16.2m euros (£14.2m). The vase formed part of a family inheritance and was recently discovered in an attic. 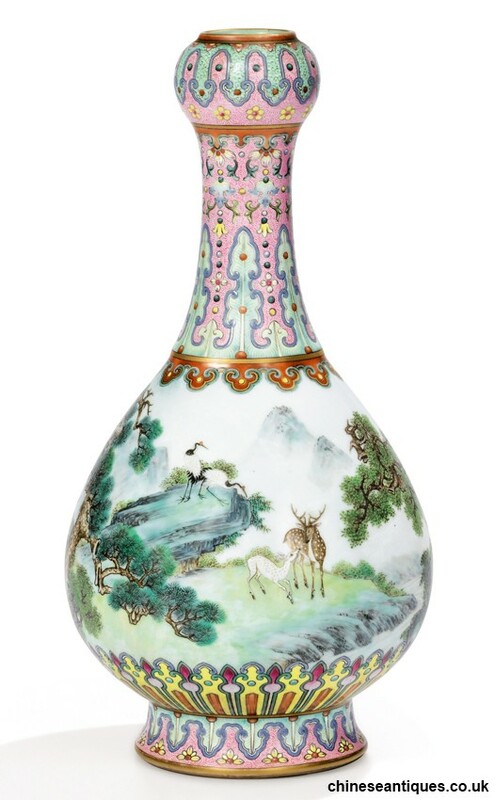 While Qianlong vases appear relatively regularly at auction, the combination of form and, particularly, decoration made this example especially rare – the only known example of its kind according to the auctioneers. The vase was in perfect condition.